HTC Radar 4G (Videotron) Owner's Manual. 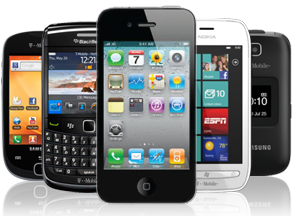 This page you'll find some HTC Mobile Manuals PDF. High Tech Computer Corporation (HTC) - Taiwanese company, is a producer of original mobile equipment for the largest telecommunications companies in the world, including Orange (User Manuals PDF page), NTT DoCoMo (Owner Manuals PDF page), AT & T Wireless (User Manuals page), and T-Mobile. Just released HTC smartphones and PDAs under its own brand. In June 2006, the company announced the acquisition of Dopod (a major producer and distributor of smart phones and PDAs in the Asian region) and becomes competitive devices manufacturer. It founded the company in 1997. HTC has grown rapidly due to the close cooperation with Microsoft, the software giant helping to impose its operating system in the mobile market, which was initially reluctant to accept the operating system Windows Mobile. HTC operates manufacturing subsidiaries in mainland China and has the support of sales subsidiaries in the USA and the UK. Head and founder of HTC - Cher Wang, Peter Chou - is the president of the group. HT Cho - is the CEO of the company. The company is listed on the Taiwan Stock Exchange, and in 2005 had revenues of $ 2.23 billion. In 2001, there was a significant moment in the history of the company, HTC has signed a new contract with Microsoft to develop a new generation mobile phones based on the continuation of the latest portable operating system from Microsoft, Windows CE 3.0. By March of this year, the company debuted its first full-featured smartphone. By 2002, HTC has released its first commercially available smartphone that was picked up by a fast-growing British company Orange telecommunications. In the same year, HTC launched its first wireless Pocket PC. launch of the new technology is also transforming revenue picture of HTC. By 2003, HTC faced with a growing number of new entrants in the smartphone market, including competing with the Windows version, such as Symbian, used by Nokia and Motorola. 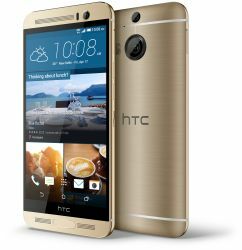 In response to HTC focuses on the development of new products, making its smartphones more little more sleek. HTC's sales grew rapidly as more and more of the world's major suppliers of telecommunication services companies purchased smartphones. By the end of 2004, HTC's revenues have close to $ 1 billion. In the same year the company increased its software development wing with acquisition of IA Style, well-known developer of software applications for the Windows Mobile operating system. Following the acquisition of IA Style, who had previously worked in the retail sector, have directed their activities fully support the development of HTC's product. At the same time, HTC began to expand to the west, running a branch in the United States in 2003 and has a branch in the UK in 2005. Therefore, the company is positioning itself closer to its main customers, which include European giants such as O2, Orange, Vodaphone, T-Mobile, and Telefonica. Also in 2005, HTC was the first company to release a smartphone based on the new OC Windows Mobile 5.0. By the end of the same year, the company's sales have doubled, exceeding $ 2.2 billion. In 2006, HTC has taken measures to increase the sales of smartphones under its own brand in the Asian markets and announced an agreement to acquire Dopod in June of the same year. 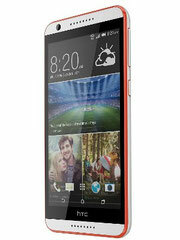 Dopod was then the largest smartphone maker HTC on the basis of the Asian market. The move signals the company's interest to get out of the shadows and be recognized as a world leader in the field of smartphones.